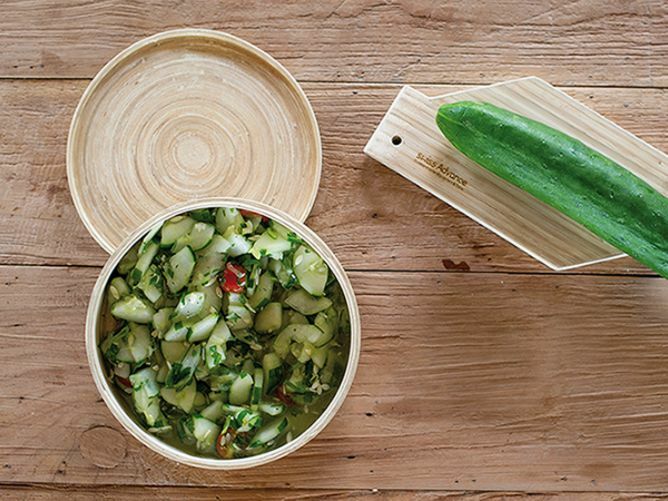 Bento Box – Dining without Plasticizers! Unfortunately the most storage containers contains plasticizers, which are suspected of being carcinogenic. 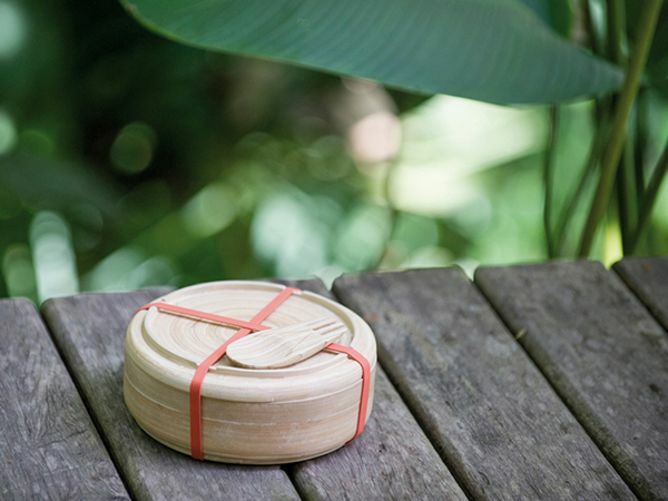 Handmade by a privately owned company in Vietnam, we bring to you our Bento box. 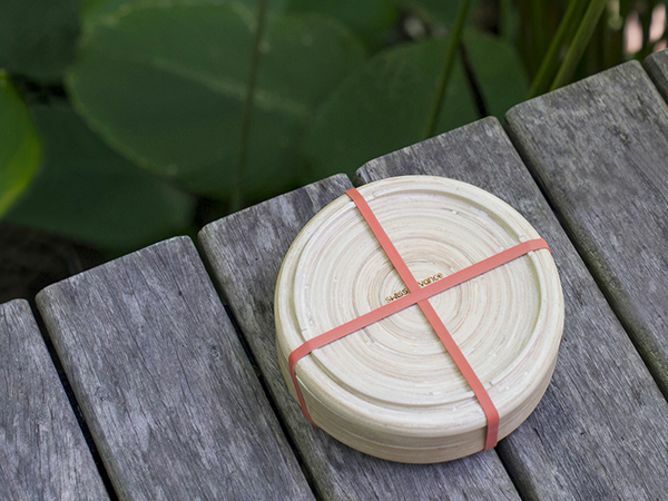 Made out of 100% natural materials – bamboo, ricepowder and natural rubber. 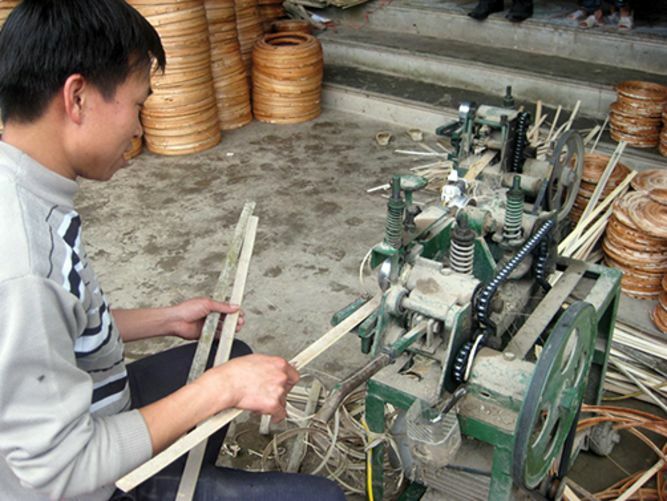 The bamboo is sourced near the local village. Next, it is carefully cut into fine stripes, to be glued back together. 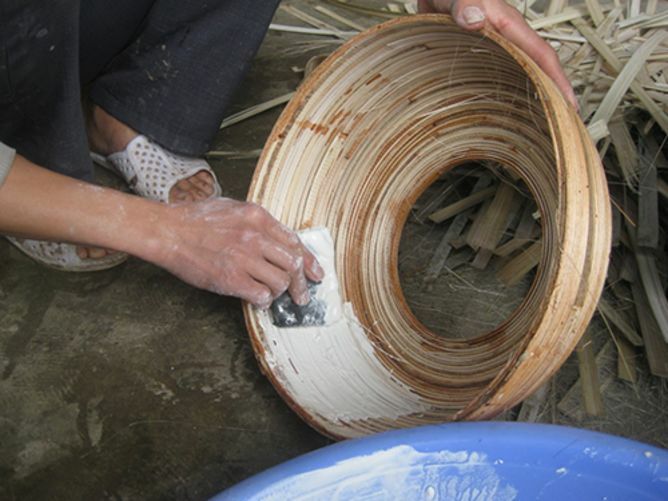 Using only natural products, the glue is a mixture of water and rice powder. 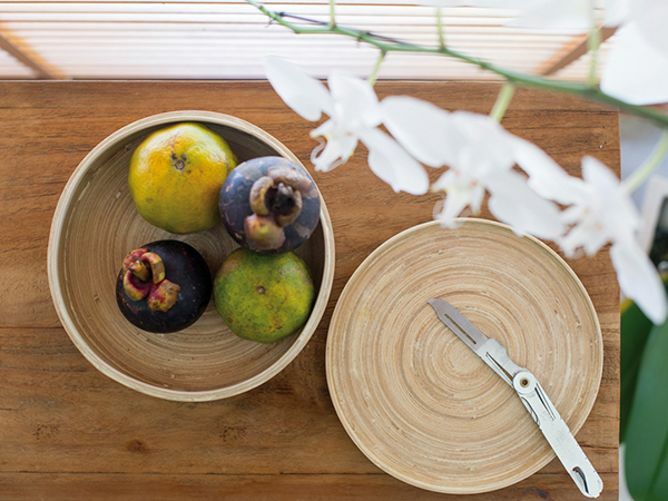 Bamboo is one of nature’s most durable plant, fast growing and one hardest of wood types. We want to bring the Bento trend to Switzerland. In Japan it is part of tradition and dates back to the 5th century. This nutritional trend came from Japan to the USA, then to Germany and now to Switzerland, as we hope. Bento means «of everything». Bento is a very special way of serving food in a box. It is a beautiful, delicious, an easy and healthy way of eating. We need your support to launch this brand new product. By selling the very first small series we want to fund 50% of a greater following series of production. With this you also support the company in Vietnam. With a good start we could bring this project to the next level which generates new jobs. 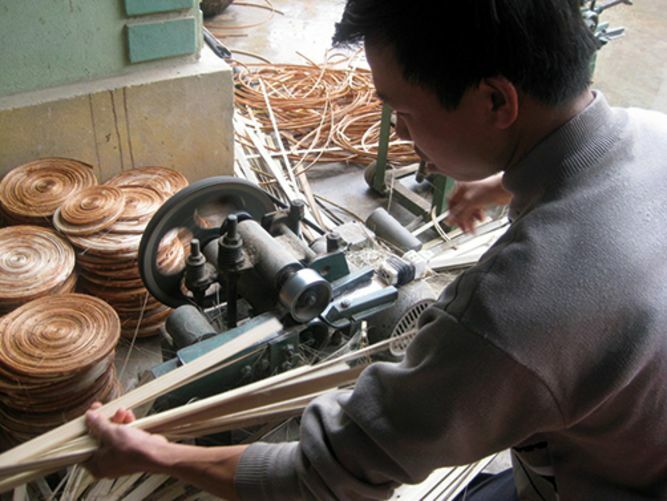 They cannot compete with name brands in terms of price, because everything is handmade and even the bamboo is not harvest by industrial agriculture. 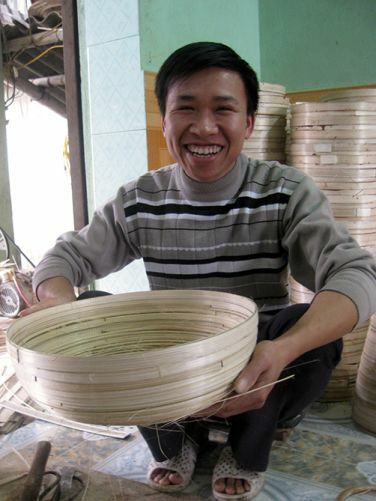 They harvest the wild growing bamboo by hand in surrounding woodlands and villages. We don’t want them to change. They shall stay the way they are. Therefore we want to continue working with them. We hope that many other products are following. This year in January we flew to Hanoi to visit them. Their production halls are at the edge of Hanoi. We were allowed to work with them together on our designs. The bamboo is harvest by hand with a machete. 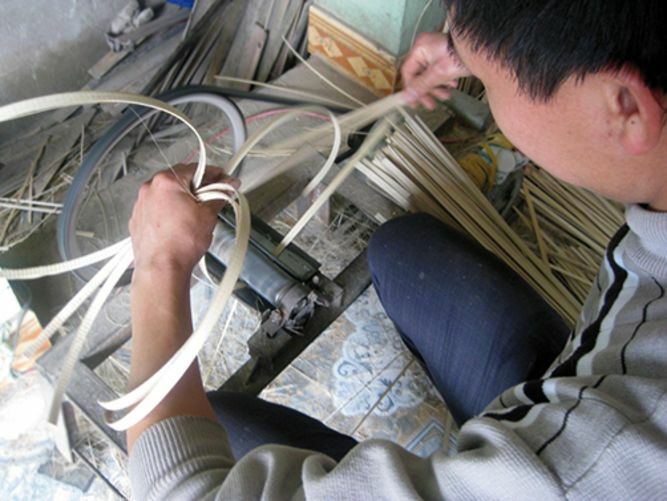 After drying it is cut into fine stripes and formed into rings. 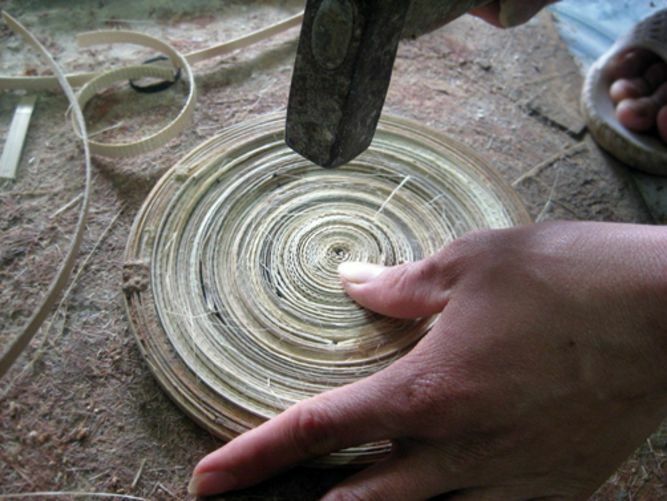 They combine it to tight spirals and afterwards they hammer it carefully over a plaster mould. Towards the end they apply a glue made of water and rice powder. At the end they polish your Bento box and it’s ready. What are actually the measures and the materials? When will the Bento box ready for you? We will be able to ship the Bento box at the end of July. 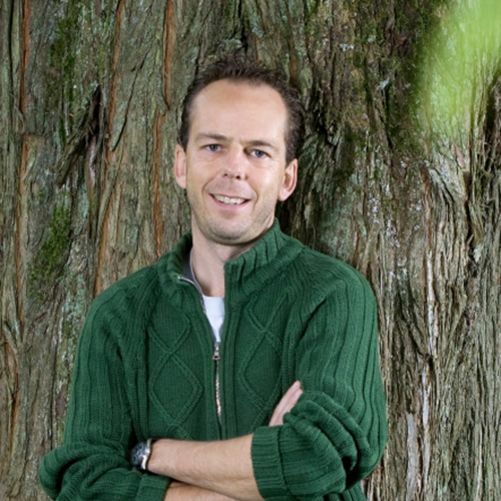 We are a small Swiss company consisting of the founder and our chef Peter Meyer, Nadine Herker for sales, Raphael aguiar, who flew to Vietnam with me and me the designer Andrea Manchen. We work in close cooperation with our assembly company and suppliers which we know all in person. We love being outside. We love being close to nature. That is where our inspiration and energy is coming from. We love design. We love it timeless and minimalist. Less is often more. & many thanks for your support! This project ended successfully on 15/7/2016 18:00! Thank you! 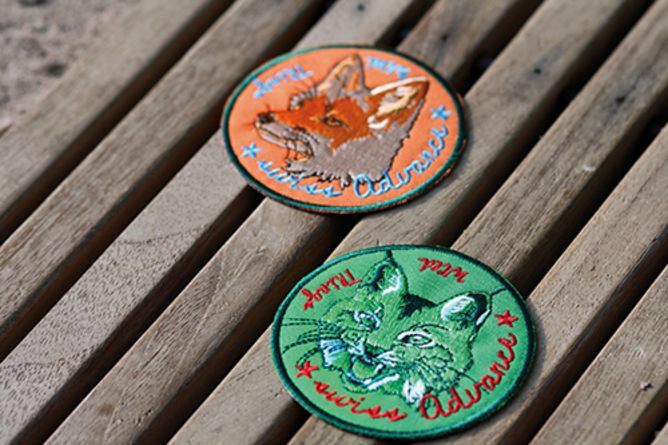 You will get a handwritten letter of thanks and our two patches «Foxy Orange» and «Deep Green Lynx». Play iron man by ironing us to your jacket, or simply sew us onto your backpack! Every day is a journey, get exploring. 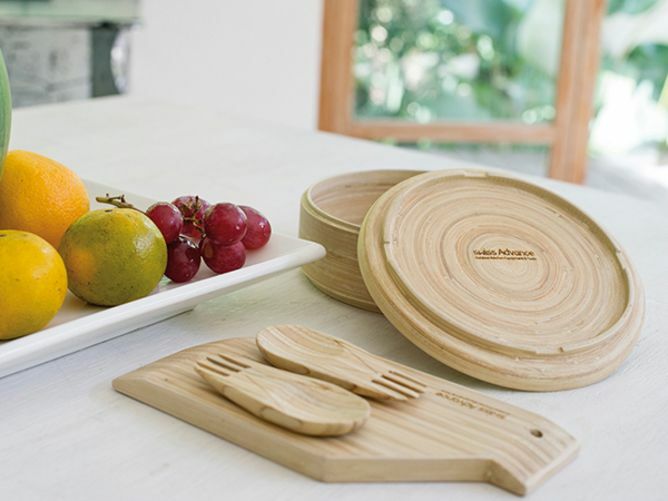 For your support we will send you a handwritten letter of thanks and one of our bamboo cutting boards. It’s the little brother of our Bento box. 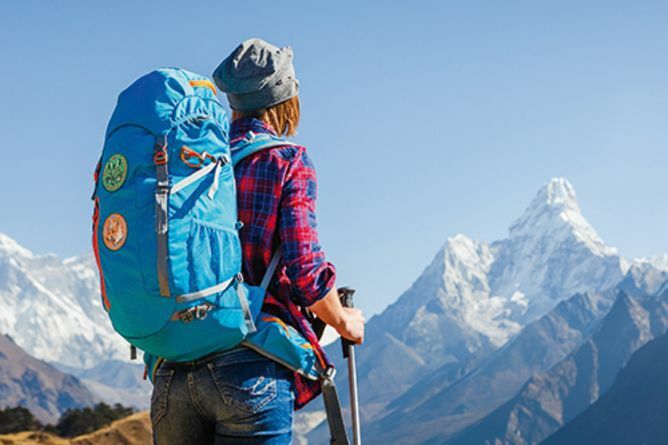 Backpacking this summer? 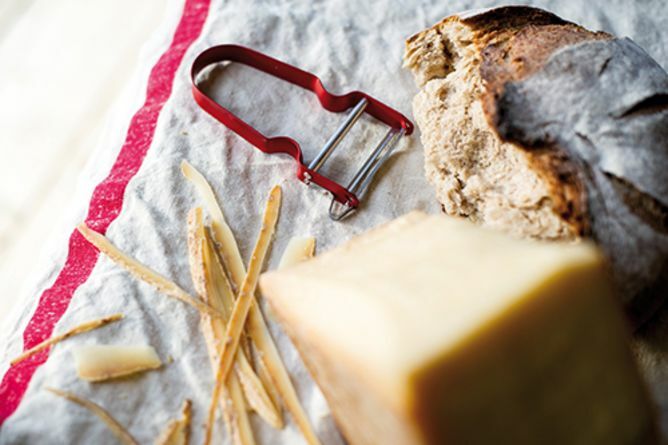 Add this space-saving cutting board to your backpack, or wow your guests at your next dinner party at home. 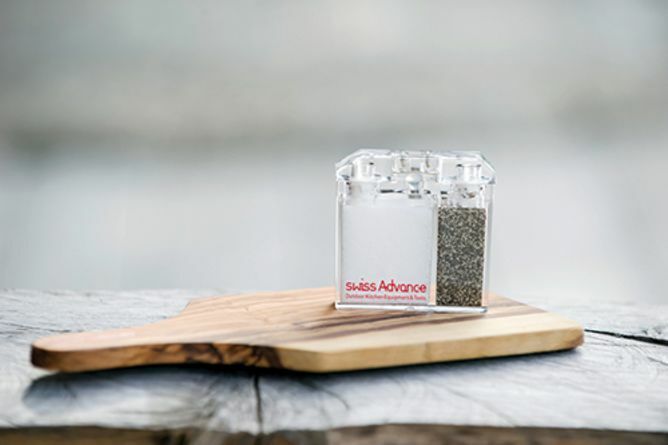 Spice up your life with the Bento box and our evergreen – the travel spice container! In this way you can seasoning you Bento art piece as much as you like. You will get a handwritten letter of thanks, one Bento box and our travel spice container «Arcto». You are great and a real fan! We thank you a 1000 times. You will receive 4 of the beautiful Bento boxes and a handwritten letter of thanks. We want you to be perfectly gearded. 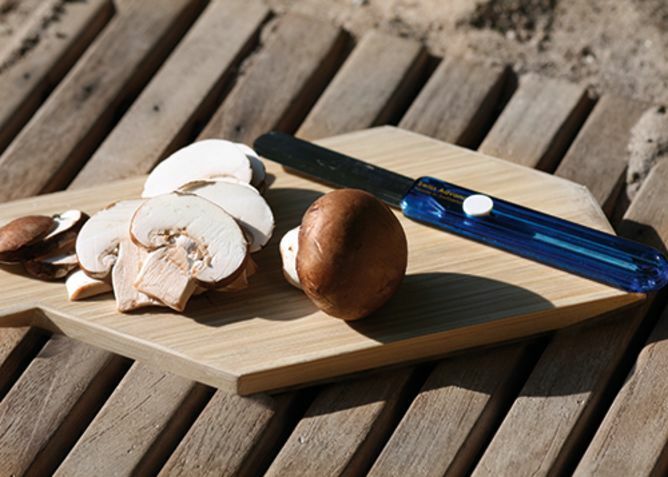 For your fantastic support we will send you a handwritten letter of thanks and two bento boxes, a bamboo cutting board, one of our wonderful vegetable peelers and our Swiss pocket knife Crono. 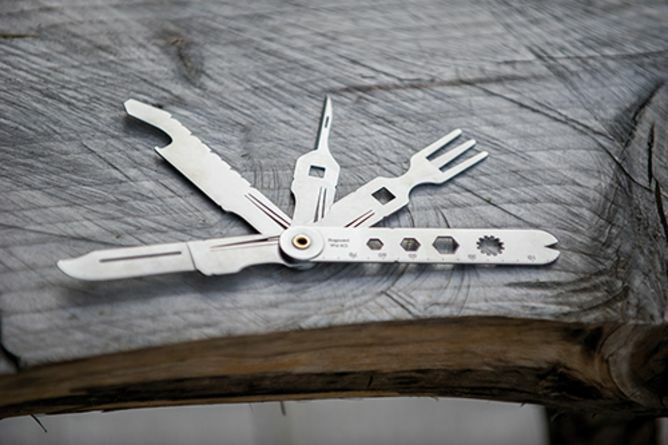 With its very sharp blade you cut everything in pieces and with its fork you can kick off immediately. Start a cooking club and share this set of 6 Bento boxes with your friends! We bow in deep gratitude to you and include a quantity discount plus a handwritten letter of thanks. We want to thank you and so we have something very special for you! Of course you will get a handwritten letter of thanks and our Bento box. 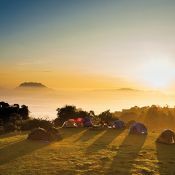 But moreover we have a tandem paragliding flight waiting for you. You will fly with our founder and chef Peter Meyer. 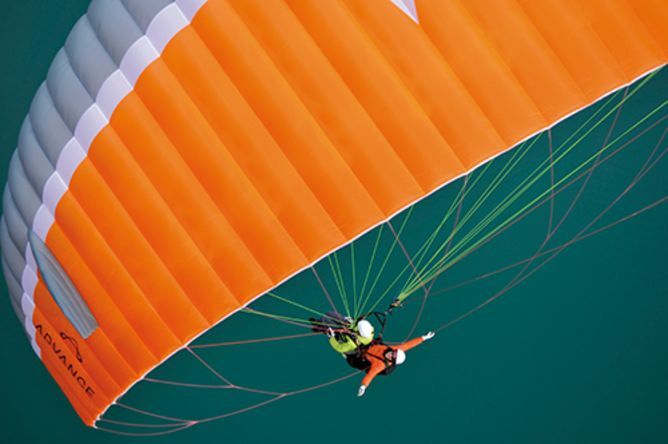 He is a passionate paragliding pilot and looks back on 30 years of experiences. Wir lieben es, draussen zu sein. Davon inspiriert entwickeln wir Produkte, zurechtgeschnitten auf Deine Bedürfnisse. Unsere sehr leichten, nachhaltigen und langlebigen Produkte sind für Deinen Lifestyle unterwegs designed. Es geht alles rund um das Essen in der Natur. Aber uns ist immer wichtig, dass unsere Produkte auch zu Hause ihren Platz finden und nicht in einer Camping-Kiste verstauben.